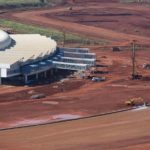 The new passenger terminal at the Santa Genoveva Airport or Goiânia international airport, was ahead of the game in being the first in Brazil to use safe parameters and concepts in the treatment of direct water reuse, with an innovative project enabling the reuse of gray waters from cooling towers, sinks, showers, water fountains and rainwater. Although officially inaugurated on May 9th, it only started to operate from May 21st 2016. 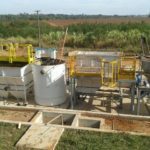 Ecosan, the leading company in equipment for primary and secondary treatment of domestic and industrial effluent, has been hired to develop and operate the system. Its Managing Director André Ricardo Telles, feels the initiative represents a new project concept. “Given water resource shortages, the system’s significant reduction in the cost and consumption of potable water in its operations is of great value. 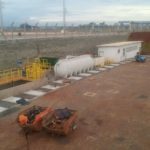 The adoption of these processes is a reflection of environmental and water resource concerns,” says Telles, who adds that the equipment and machinery employed at the terminal was installed and operational extremely quickly. The gray water treatment system receives the water tower discards on a daily basis. These undergo constant chemical treatment for pH balance and adjustment, corrosion and incrustation control as well as control of algae growth. Infraero – (Brazilian acronym for Brazilian Airport Infrastructure Company) – is responsible for monitoring parameters, whilst Ecosan Brazil’s responsibilities are treatment process, machine and equipment supply, training system integration, and start-up of operations. According to Telles, the system has four stages. The first stage consists of the separation of oil and water in coalescent blocks. 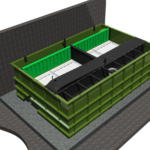 The second stage includes a complete system of biological water treatment of water contaminated with organic material. It will pass through equalization, settling, aeration, sedimentation and polishing processes. The third stage comprises a physico-chemical treatment for the removal of other contaminants, and also mechanical filtration. To finish things off, an ultraviolet disinfection process. Ecosan’s Managing Director points out that passenger safety was always a primary concern. Electrical and automation parts of the project were developed in such a way as to meet the obligatory requirements of an area classified as an explosive environment, with all panels, motors, drives and other equipment being spark and explosion proof. Since 1983 Ecosan has been the leader in equipment and systems for domestic and industrial effluent treatment and reuse, providing bespoke solutions to meet the specific needs of each client. As a result of its philosophy the company now has more than 60,000 units installed in Brazil, Latin America and Africa. With new product development and technological innovation always in mind, Ecosan was the first company in Latin America to produce both floating aeration equipment with downward flow and mechanically-cleaned bar screens. The company has the largest product equipment and solution portfolio in the market, providing its clients with the quality, reliability and functionality they demand.